This week for Photo of the Week, we would like to feature an amazing shot of the Moon. 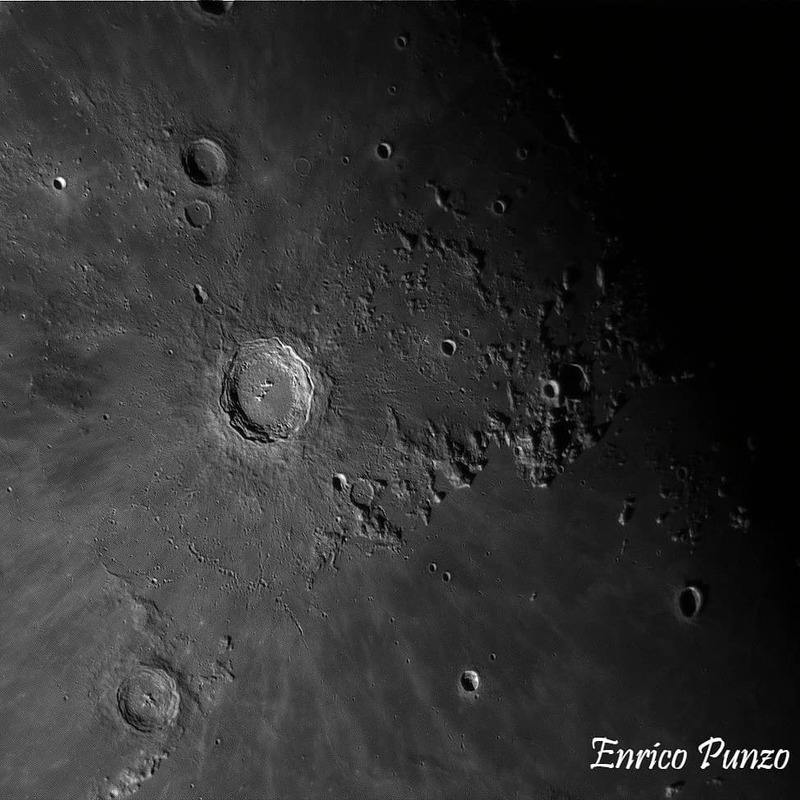 Taken by Enrico Punzo, this lovely zoomed-in shot of the Moon features the Copernicus Crater in all of its glory. Located in eastern Oceanus Procellarum, this crater is found slightly northwest of the centre of the Moon's Earth-facing hemisphere and is visible using binoculars. This shot was made possible using a @celestronuniverse C8 taken from Milan.